Jhoomur Bose has created wonderful, strong characters and despite the intense storyline, she has layered it with subtle humour and sarcasm that will keep you glued to the pages. 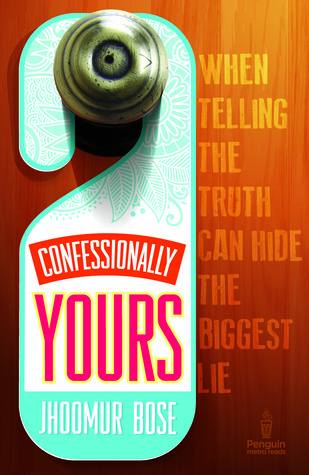 Confessionally Yours is a fantastic debut and I look forward to reading more from Jhoomur! Oh my this looks soo good and I don't occasionally read Adult Chick Lit. Only some by like Emily Giffin. That's about it, I think I have to pick this book up.